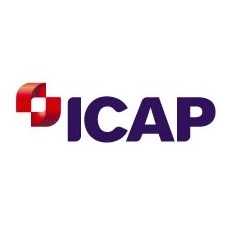 EBS, ICAP’s Forex business has appointed Simon Winn as its newest Head of Sales – Asia-Pacific (APAC), in a bid to help drive new Forex business across the region and expand EBS’s product suite exposure, according to an ICAP statement. Mr. Winn will be based out of Hong Kong in his new role, placing him in the heart of the APAC universe for Forex business – furthermore, he will be reporting to Gerard Varjacques, EBS’s Global Head of Sales. As Head of Sales, Mr. Winn will be fostering EBS’s growing business in the APAC region, with a focus on several asset classes, namely Forex. Prior to joining EBS, Mr. Winn previously served as Head of e-FX sales – Asia at Commerzbank. In addition, he worked for over a decade at Société Générale in a variety of roles ranging from FX Chief Dealer to Director of Spot FX in Singapore and Hong Kong. “As the FX trading landscape evolves, customers are increasingly looking for reliable and trusted platforms where they can transact their business while accessing optimal liquidity. EBS has a well-established, extensive footprint in Asia-Pacific and with many exciting new products in the pipeline, I look forward to further expanding our offering and supporting EBS in the next phase of its growth,” added Mr. Winn in an accompanying statement.